The joys of monitoring and watching the birds close up is the biggest reward! Many other rewards follow as one learns about taking care of manmade nestboxes and the birds that use them. It’s about being a good landlord. Nest box on the Woolwine House Bluebird Trail. Installing a nest box for a new trail on VBS grant funds at a local state park. The trail is monitored by the volunteer Virginia Master Naturalists. This is my first ever “monitored” nestbox (photo below). It existed when I moved to my new home. It was situated in the back yard, very old and weathered. That first spring, I was delighted to see a bluebird couple feeding babies in it. 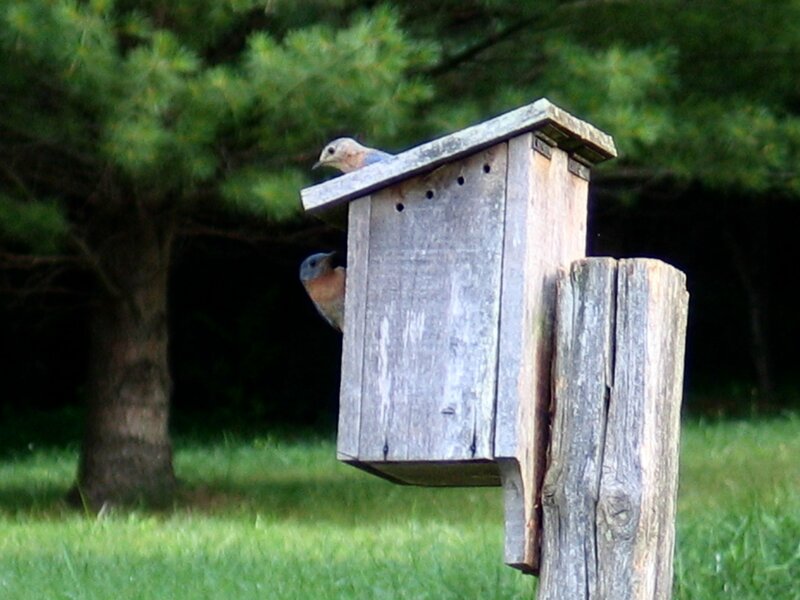 Unfortunately, this bluebird couple tried twice to raise a family here–it failed due to many problems to the nestbox. 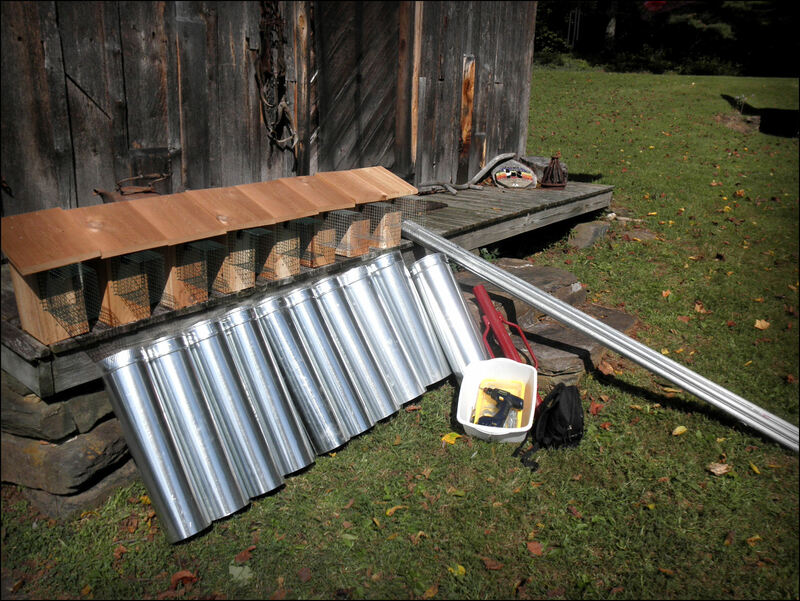 After much troubleshooting after both broods died, I removed the box and started my research about what a successful nestbox for use by bluebirds should be. 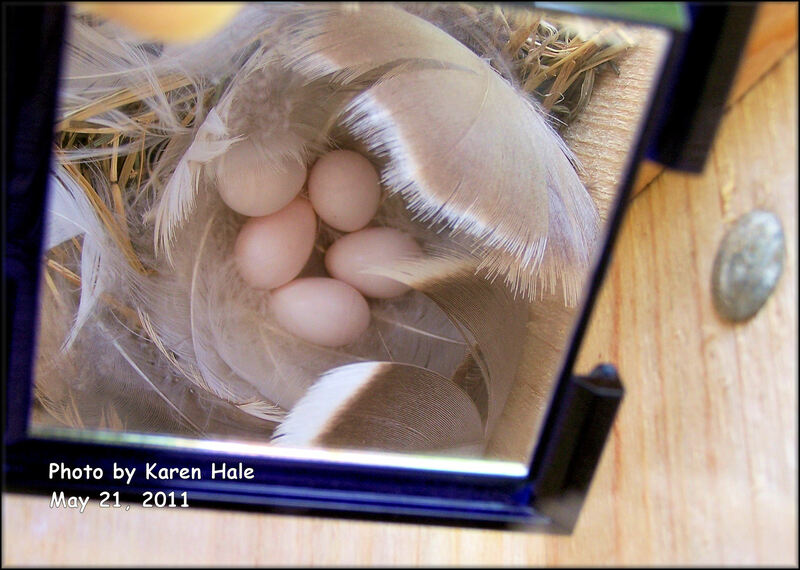 I learned quickly it’s not just bluebirds–there are other native species needing an already “excavated” cavity–a manmade nestbox is ideal. I learned quickly, however, that just putting up a nestbox and leaving it unattended will not work successfully in the long term. Perhaps it might have a few successful youngsters fledge, but if that box is not maintained, many things can go wrong quickly. This includes using predator guards. This box had no guards on it. It’s a sweet picture, however, and I enjoyed watching this couple early that year. This is how bluebirding actually started for me in 2006. The Woolwine House Bluebird Trail now has 33 nestboxes to be monitored. All new boxes installed will be in afternoon shade! Woo-hoo! I absolutely love this artist. This plate graces our guest room which we call, The Blue Room. It was meant to be: he walls are painted bluebird egg color. Once you get a bluebird trail, you’ll be hooked on the real birds and all things beautiful that are bluebirds, like this plate with bluebird artwork! A Bluebird Trail is 5 or more boxes! 4 eggs. Maybe 1 or 2 more will be laid. 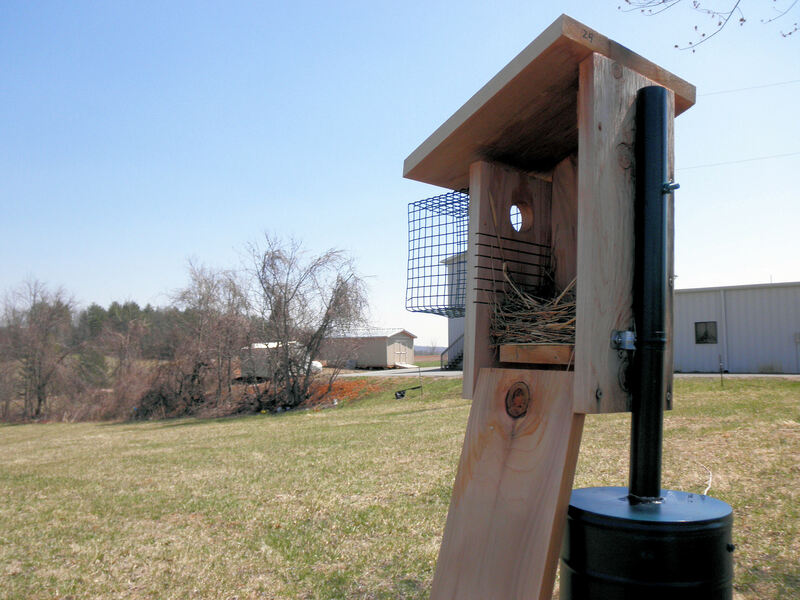 It is recommended to start with one standard bluebird box with proper mounting on a pole with predator guards. Install one box near to where you live so that you can actively learn to monitor the box. It takes work and commitment. 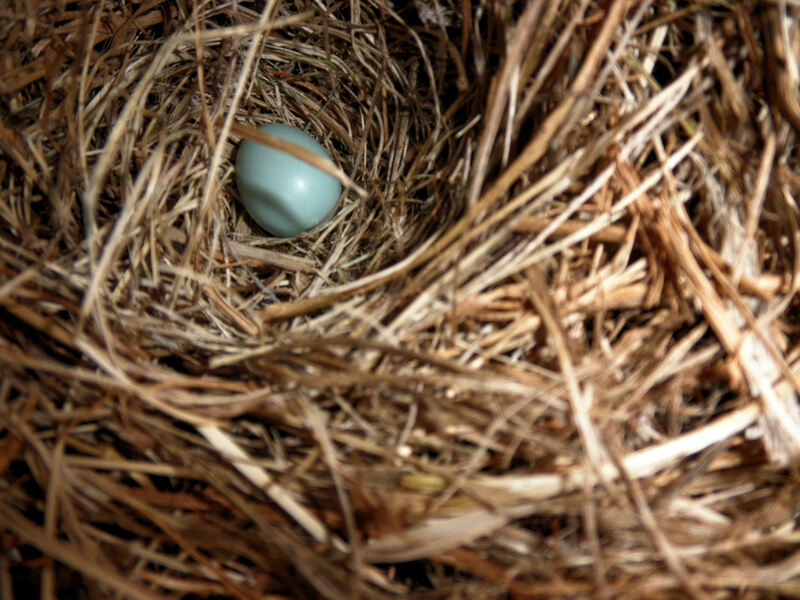 If you like monitoring the box and learning how the birds nest and bring up families, you will enjoy having a trail of your own…always start small and then build your trail. 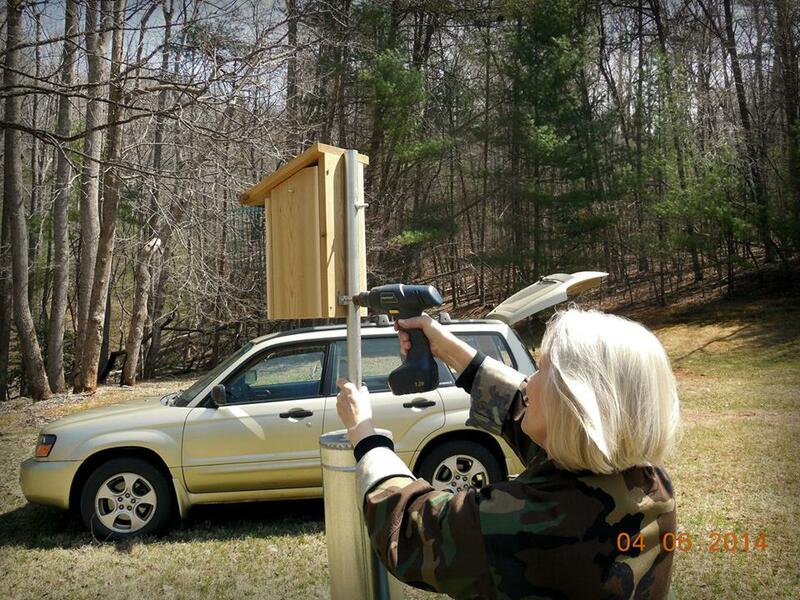 See the websites below for more information about having your own bluebird box or trail. Hello! I am a teacher from southern Indiana and I’m thinking about doing a bluebird trail project with my second graders. I would like to put up 5-7 nest boxes around my school. We would spend the year studying bluebirds, put boxes up in February, and monitor them through the end of the school year. My husband and I would then monito during the summer until I start a new class of second graders on the project. Do you think this project has merit? Do you have any suggestions on where I can search for grants to help fund it? What a wonderful project….for sure great merit….helping the bluebirds and teaching the children the love of birds and bluebirds in particular! You might want to check in with the North American Bluebird Society’s (NABS) affiliate club for Indiana, the Indiana Bluebird Society! Here is the IBS’ website: http://indianabluebirdsociety.org. I know the Virginia Bluebird Society, which I am active with, does grants in Virginia. Both VBS and IBS are affiliate clubs of NABS. Best wishes on your school project for the bluebirds!